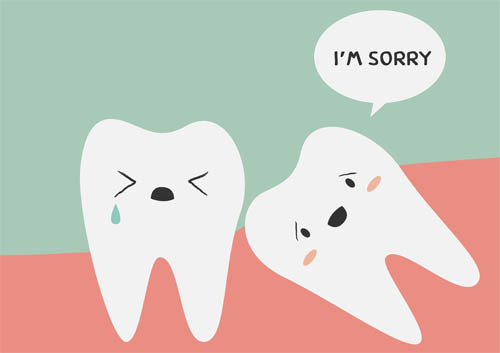 When your wisdom teeth start to emerge it can definitely be painful, but it can be even worse if your wisdom teeth become impacted. Impacted wisdom teeth are trying to erupt but are unable to do so because there is not sufficient room for them to emerge. This usually means that your wisdom teeth are painfully lodged in your jawbone. While you may not see any real signs of the emerging wisdom teeth when they are impacted, what you can’t see can still definitely hurt you. Some of the indicators of impacted wisdom teeth are listed below. Jaw Pain: Pain in the back of your jaw is a common indicator of impacted wisdom teeth. The pain often concentrates in the area around your gums. Changes in the Mouth: You may notice some changes in your mouth when you have impacted wisdom teeth. Reddish gums, swelling in the jaw, bleeding gums, and bad breath can all be indicators that you are dealing with impacted wisdom teeth. Headaches: If you suddenly start having headaches, especially at the same time as some of the other issues mentioned above, they may indicate impacted wisdom teeth. Chewing Issues: Problems with chewing normally can indicate impacted wisdom teeth. If you are having trouble making the chewing motions because your mouth won’t quite open and close as easily as it used to, impacted wisdom teeth may be the culprit. If you are suffering from impacted wisdom teeth, the best solution is usually going to be removal. This is not a problem that will resolve naturally, and in fact, your pain and other symptoms may worsen as your wisdom teeth become increasingly impacted. At Fealy Dentistry, Dr. Lawrence Fealy and Dr. Kevin Porres can review the details of wisdom teeth removal surgery with you and help you determine if this is the best solution for your situation. 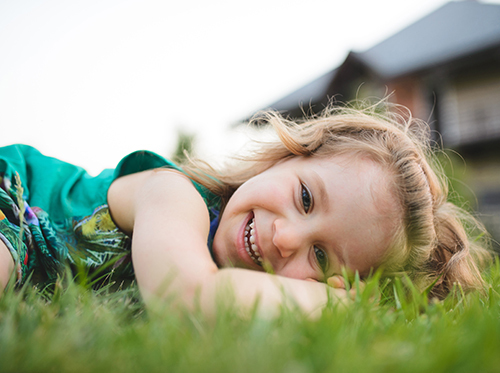 One of the most frequent questions that Dr. Lawrence Fealy and Dr. Kevin Porres and our team hear is about what kinds of snacks are best for a child’s dental health. Sugary snacks are inevitable sometimes, but it’s vital for you as a parent to monitor how frequently your child is eating the kinds of snacks that may give him or her a cavity or two down the line. Unsurprisingly, the best snacks are healthy ones, though they may not always be the most appealing to your little ones. The good news is that healthy doesn’t mean you have to compromise on taste. Once your kids give these tasty snacks a go, they might become open to all things healthy! These snacks aren’t high in sugar but they contain all the nutrients your children need to have the necessary energy throughout the day. This is only a sample of all the great, healthy snacks out there for your kids. For more ideas, ask us the next time you visit our Valencia, CA office. It’s never too early to create healthy habits; they’re not only good for oral health, but overall health too. That’s a win-win, if you ask us. You make sure your daughter wears her mouthguard to every soccer practice. Your son doesn’t step on the basketball court without his. Why not protect your smile as well? Athletes of all ages in team or recreational sports can help prevent dental injuries with a protective mouthguard. If you bike or ski, play racquetball or squash, skate, or sky dive, a mouthguard will help keep your teeth and gums healthy as you keep fit. Stock: Preformed appliances available at sporting goods stores and drugstores. These are the most affordable, but are a one-size-fits-all option and may not be a comfortable fit for you. Boil-and-Bite: Also available at sports shops and drugstores. This guard is formed by placing it in hot water and then biting down to allow it to conform to the shape of your mouth. Custom: Our Valencia, CA office can create a personalized mouthguard just for you. Individual mouthguards are the most durable and comfortable option, in general, and provide the best fit for ease of talking and breathing while exercising. You may also have special dental conditions, such as the placement of crowns or braces, which could be a factor in your decision. Whichever option you choose, remember to wear your mouthguard regularly while exercising. A proper mouthguard cannot only help prevent injuries to your teeth, but to your face and jaw as well. A healthy smile and a healthy body are a winning combination. The next time you visit Dr. Lawrence Fealy and Dr. Kevin Porres, let’s talk sports! YES! X-rays have been used in dentistry for a long time, and the amount of radiation has significantly decreased with advances in technology. While there is risk in every health diagnostic procedure at Fealy Dentistry, the benefits must outweigh the risks. Dental X-rays do indeed fall into this category. X-rays are exposed to a type of film to produce an image. The amount of X-rays required to produce this image differs with film speeds. Speed E or F is highly recommended, and digital X-rays require up to 50% less than speed E or F film. 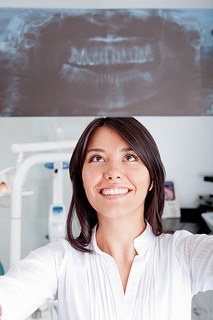 The digital X-ray software can adjust the exposure to produce a quality image. Digital X-rays are becoming a new standard and are most common. Lead aprons have been used to reduce the amount of scatter radiation. All X-ray units have a cone to focus the X-ray beam so the exposure is highly localized. Lead aprons continue to be worn as a precaution for pregnant women, and a thyroid collar should also be worn. In most cases, this is sewn into the lead apron. We get radiation exposure from environmental factors as well as healthcare diagnostic and treatment tools. To place this in perspective, in one year a person is expected to have 360mRem per year from the sun, air etc. By comparison, a single set of bitewing X-rays is 0.3mRem. Radiation can accumulate in our body over a lifetime, and additional exposure should be avoided whenever possible.